Whether we like it or not, SEO has an impact on our everyday life and does also affect our whole generation. 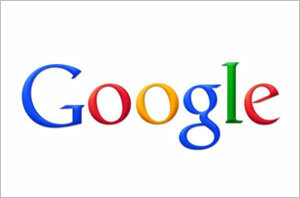 Google is being used for conducting research for everything we do on a daily basis. It’s being used 40,000 times every second of every day. This means that it’s being used 3.5 billion times a day with 1.2 trillion searchers around the globe. And probably, you were one of those searchers included in these numbers. This is the way our generation is doing everything, we search for it. And the search engine’s algorithm is showing us the highest quality results. So technically, we are being shown only the results who worked hard in their SEO. Google, for example, gets the most useful and relevant content on the top of their search result. Almost all the websites that people click on frequently from the search engine results page has experienced some SEO efforts applied to the content the website offers. SEO makes it easier for you to reach your destination. You will be needing maps whether for finding a specific and defined place or to find the closest provider for a specific and defined service, or even to check the traffic or time it will take to go to your defined destination. SEO will help you find the fastest road to your destination. So instead of wasting time in traffic, SEO will be helping you save time. 2. Where and what to eat? If you’re always wondering where or what to eat, SEO will help you with that. If you entered a specific keyword for some kind of food that you felt like eating on google, google will give you the option of the maps to find the nearest and most relevant ones in the search results. You don’t need to think for hours about what or where to eat. SEO will make it easier for you by giving you the best options, whether it’s the nearest restaurant or the best in your area. SEO can be important to the extent of hiring someone for you. Yes, if you’re using the search engine for headhunting an employee or a freelancer to complete some tasks for you, the most optimized profiles for the search engines are the only ones that will appear to you. So yes, technically it’s doing the shortlisting for you. SEO will be helping you find the perfect fit for you. Regardless of the size of your business, small, medium or large, using SEO is a must for you. SEO will not only help you reach your desired audience, but will also generate leads. Generating leads were never easy, but with the use of SEO, now you can easily generate leads to your potential customers. If you have a small business or you have a limited budget to spend on digital marketing, SEO will help you reach your target with the lowest budget. Using Brad’s digital marketing services will help you reach your optimal goal with better SEO. By choosing the right keywords and a good SEO campaign you will be able to get all the needed leads and results you aim for. SEO could also get you hired by finding you the most relevant open job vacancies for your research. SEO can impact our generation by finding the right job for each person. Nowadays, you can easily search for job vacancies that suit your profile on any platform. SEO can have a huge impact on our education and skills. If you’re looking to learn a new skill, language, or even a trick. You can also be directed to what to learn using SEO because the most optimized sites that show content about the skills needed for your desire is what is going to tell you what and what websites to learn from, indirectly. Now when you’re looking forward to learning something new, you can save a lot of time and money by searching for it online. You will also be able to find reviews on a specific course you want so you can know how helpful it is for you. For all those who love shopping. Now you can easily shop online with trusted and guaranteed online shops. Instead of walking for hours searching for the best outfit, you can now type in what you want and you will be able to find the best deals on your favorite shops and find what you’re looking for from the best online shops. SEO will not only save you time but it will also help you save money. Have you been eager to learn a new hobby? Whether it’s guitar playing or dance moves you will find it all online. You don't need to go through the hassle of finding a good place to take a course or learn a new hobby. Now you can easily check for whatever you want to learn and get it online. Not only that, you will also be able to see all the reviews in order to guarantee the best results. SEO and digital marketing are involved in your daily life. As long as we are using smartphones and social media, we are constantly being marketed and advertised to. If you haven't realized yet that Google and SEO are aiming to make our lives better than you should check again. As its main purpose is to make your life easier by finding exactly what you are looking for in no time. SEO is growing day by day and everyone can notice that right now whenever we want to search for something it comes more relative to the topic than it used to before. Even if you have a small business and you want it to grow, you should definitely use SEO in order to grow your business and make it more reachable to your potential customers. SEO gives you the privilege of finding exactly what you are looking for, hassle-free. It makes our life a lot easier and saves a lot of time and effort. Now you can find everything you want online. You don't need to wander around searching for what you want. Now you just type in what you want and you will be able to find it with all the needed reviews and guarantees you might ever need.